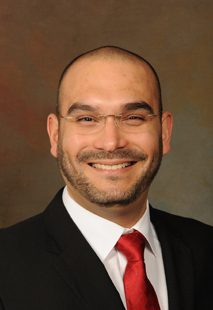 Rodrigo Martinez-Duarte is an Assistant Professor in the Department of Mechanical Engineering and a Faculty Scholar in the School of Health Research at Clemson University (USA). He was previously a Postdoctoral Researcher at the Ecole Polytechnique Federale de Lausanne (EPFL) in Lausanne, Switzerland in the group of Prof. Philippe Renaud. He obtained his doctoral degree in 2010 from the University of California, Irvine under the guidance of Prof. Marc Madou. His expertise lies at the interface between micro/nanofabrication, carbonaceous materials, electrokinetics and microfluidics. He is considered a pioneer of carbon-electrode Dielectrophoresis, a technology for particle manipulation. He has participated in different interdisciplinary projects conducting research in Spain, India, Mexico and South Korea. His Multiscale Manufacturing Laboratory www.multiscalemanufacturing.net currently focuses on Healthcare Diagnostics and Advanced Manufacturing. Prof. Martinez-Duarte is the elected President of the AES Electrophoresis Society and has chaired a number of international meetings. He was the recipient of the Public Impact fellowship at UC Irvine in 2010. M.C. Jaramillo, R. Martinez-Duarte, M. Hüttener, P. Renaud, E. Torrents and A. Juarez, “Increasing PCR sensitivity by removal of Polymerase inhibitors in natural samples using Dielectrophoresis”. Biosensors and Bioelectronics, 43, 297-303 (2013). R. Martinez-Duarte, F. Camacho-Alanis, P. Renaud and A. Ros, “Dielectrophoresis of lambda-DNA using 3D carbon electrodes” Electrophoresis, 34, 1113-1122 (2013). R. Martinez-Duarte, “Microfabrication Technologies in Dielectrophoresis Applications – a review”, Electrophoresis, 33, 3110-3132 (2012). G. Mernier, R. Martinez-Duarte, R. Lehal, F. Radtke and P. Renaud, “Very High throughput electrical cell lysis and extraction of intracellular compounds using 3D carbon electrodes in lab-on-a-chip devices” Micromachines, 3, 574-581 (2012). R. Martinez-Duarte, P. Renaud and M. J. Madou, “A novel approach to dielectrophoresis using carbon electrodes” Electrophoresis, 32, 2385-2392 (2011). Rammohan, P. K. Dwivedi, R. Martinez-Duarte, H. Katepalli, M. J. Madou and A. Sharma, “One-step Grayscale technique for the fabrication of 3-dimensional structures” Sensors and Actuators B, 153, 1, 125-134 (2011). R. Martinez-Duarte, R. Gorkin, K. Abi-Samra, M. Madou, “The integration of 3D Carbon-electrode Dielectrophoresis on a CD-like Centrifugal Microfluidic Platform” Lab-on-a-chip, 10, 8, 1030-1043 (2010). M. C. Jaramillo, E. Torrents, R. Martinez-Duarte, M. Madou and A. Juarez, “On-line separation of bacterial cells by carbon-electrode dielectrophoresis” Electrophoresis, 31, 2921-2928 (2010). R. Martinez-Duarte and M. Madou. "SU-8 Photolithography and its impact on Microfluidics" in Microfluidics and Nanofluidics Handbook – Fabrication, Implementation and Applications edited by S. Mitra and S. Chakraborty. CRC Press/Taylor & Francis Group, 231-268 (2011). R. Martinez-Duarte, G. Turon Teixidor, P. Mukherjee, Q. Kang and M. J. Madou, “Perspectives of Micro and Nanofabrication of Carbon for Electrochemical and Microfluidic Applications" in Microfluidics and Microfabrication edited by S. Chakraborty, Springer, 181-263 (2009). J. Schroers, G. Kumar, M. Madou and R. Martinez-Duarte, “Carbon molds for use in the Fabrication of Bulk Metallic Glasses Parts and Molds” WO/2010/111701, US 2012/0125071 A1.